The end result is lost revenue, lost reputation, and lost customers. 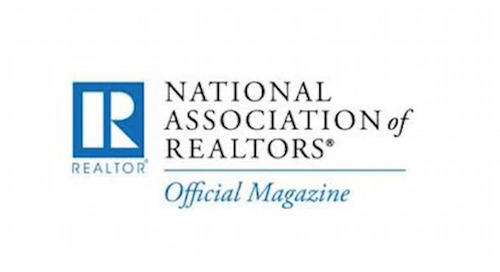 Earlier this year, we undertook a survey among 100 executives and 14 property portal operators representing a total of over 600,000 realtors and 400,000 real estate websites. The results are available in the report "2015 Study: State of Web Scraping Data Theft Across Real Estate Websites & MLS Data". 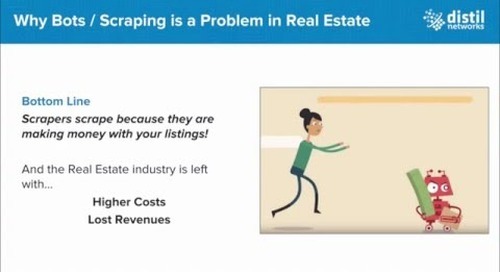 From our real-estate clients around the world, we know that web scraping is pretty much a fact of life. 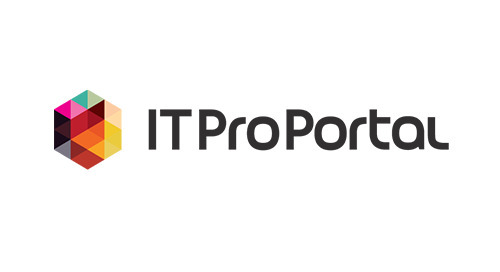 So we started out by asking participants just how much scraping traffic a property portal could sustain before their business model and the budget began to suffer. The answer? Not a lot. 43% felt that 1% scraping traffic was too much, and another 28% capped their tolerance at 15%. 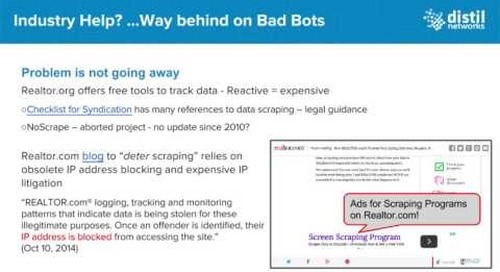 When we compared this response with the actual amount of bad bot traffic on property portal sites as recorded in our 2015 Bad Bot Landscape Report, we found that 71% of those surveyed were experiencing levels of bot traffic beyond their tolerance levels. 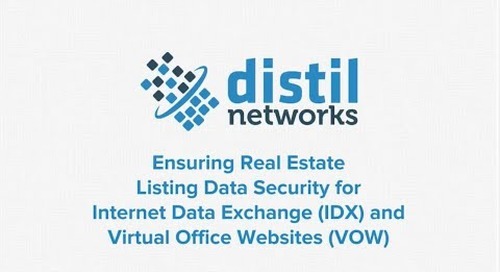 The data shown above was captured in September 2015 from a popular real estate service that uses Distil Networks service. 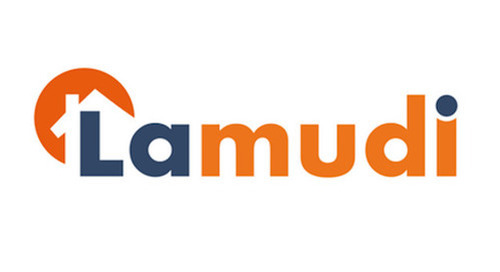 It shows that the vast majority of site traffic – 87.5% - is non-human. While 75% of that traffic is good bots and whitelisted traffic sources (bots from trusted partners), the remaining balance – more than 12% - is from web scrapers. 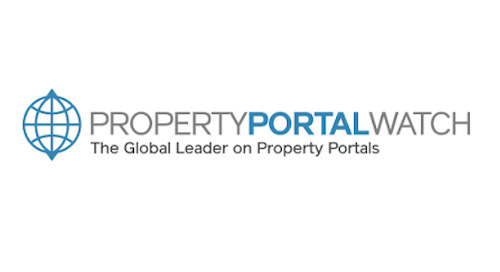 Why aren’t property portals doing more to protect their IP? If web scraping is so rampant, why aren’t more property portals taking action against it? The answer, sadly, is that many think they are doing as much as they can. Unfortunately, they’re relying on the wrong tools to deal with the problem. IP blocking has been the number one choice for years. It’s relatively cheap and easy for businesses to set up in-house, but it’s definitely a case of getting what you pay for. It’s always one step behind the bad guys, who rotate IP addresses from huge pools, spoof genuine addresses, and mask their origins with anonymous proxies. It’s an endless game of whack-a-mole that the good guys can never win but spend enormous amounts of resources to play. Rate limiting is all well and good if all the requests come from a single trackable source. 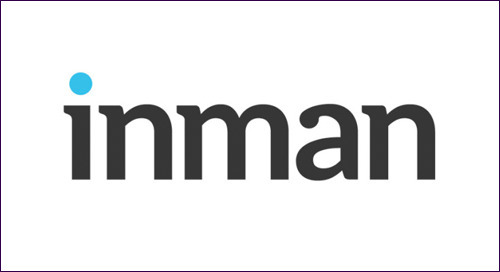 But once an attacker slowly trickles the requests out across a vast pool of rotating IP addresses, there’s no easy target at which to aim the rate limiting and the attacker flies under the radar, straight to the heart of your site. WAFs are a great way to block OWASP top ten attacks, but today’s sophisticated web attacks are frequently designed to behave like humans, complete with time delays and other unpredictable actions. If it looks and behaves like a human, a WAF will likely let it in. 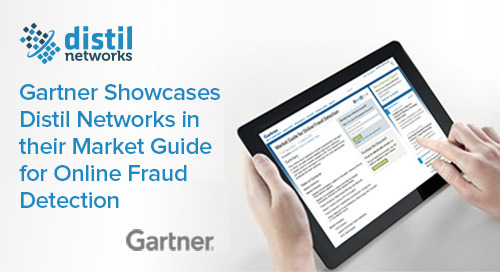 And, in common with many other areas of online criminal behavior, the law is lagging behind. As in many other industries, mobile is becoming an increasingly important component of the real estate marketing mix. Unfortunately, the same characteristics that make a mobile optimized site easy to navigate for humans also makes it a prime target for bad bots, because they provide a more structured approach to website data which is easy to scrape. Wherever humans go online, bots are not far behind.